This is a hard one that I came across yesterday because I was trying to describe something blue and of course I called it Mediterranean blue and Caribbean blue. I've always liked royal blue, cadet blue and marine blue too. I just woke up thinking about Prussian blue. I sit here thinking of the color blue and the only thing I can visualize is Bora Bora. I think I need a vacation! I may be way off the mark, but sadness comes to mind. People are "blue" when feeling sad. Also Annette, I just visited your other blog on decluttering. I'm right there with you. Thanks for the inspiration. 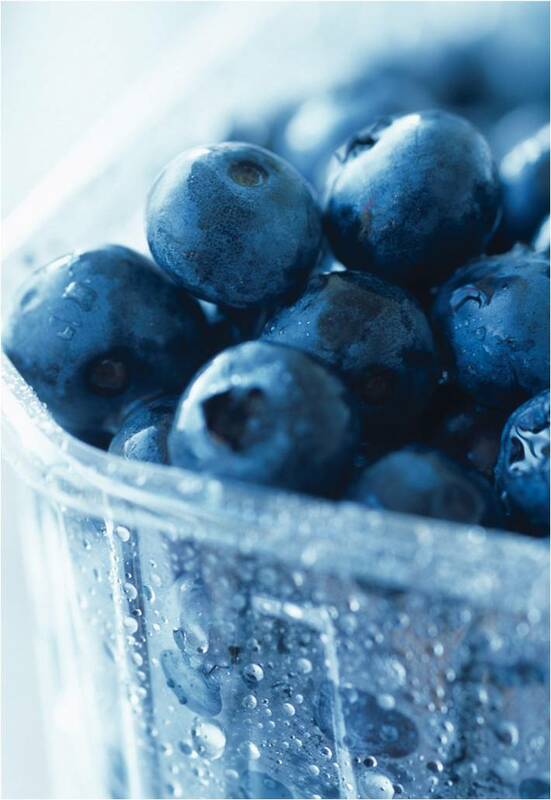 I'm getting hungry for blueberries- today I keep coming across blogs talking about them :)…hee hee…hmmm…the color blue?? Thanks, everyone, for adding to the list. I kind of like that both Barb and Anjuli added some slightly negative associations with the color blue because after all, that's part of it, too. Barb – thanks for your feedback on my decluttering blog. It shall be resurrected in the fall once I have wrapped up my current big manuscript project.